By looking at the color of our faces we often can deduce important information about our general state of health; whereas in dogs, the color of their gums can give us a glimpse about their health status and capillary refill time is quite an important piece of information! Contrary to what many people may have heard, a dog’s nose is not the quintessential indicator of health as we may have thought. There are sick dogs with wet noses and healthy dogs with dry noses. That moisture on dog noses may just tell us how much humidity is in the air, just as our lips tend to get dry or stay moist based on weather. So today, we will be learning more on capillary refill time in dogs and how it can help assess our dog’s health. Lets face it, dogs don’t get pale as humans do when they are sick, nor do they blush when they are hot or feverish. 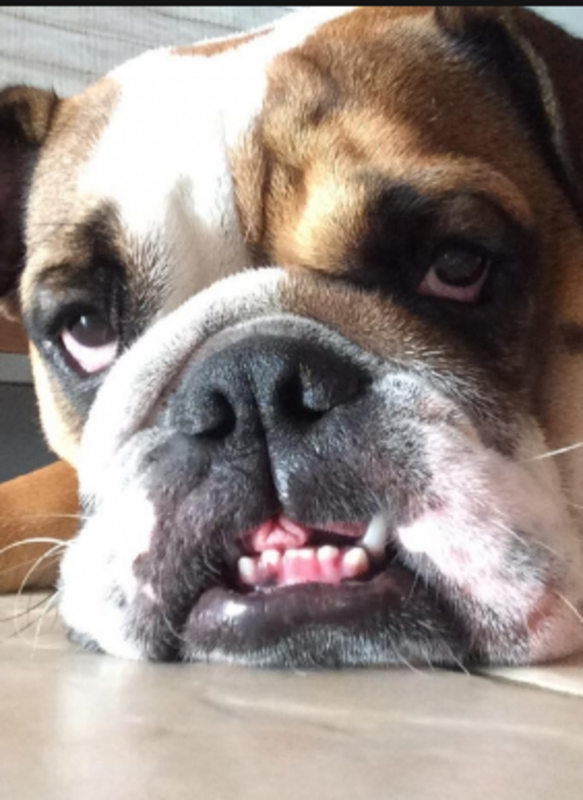 Fortunately though their gums don’t lie when it comes to giving us an idea about their overall health, which is why vets skip feeling the nose and go straight to taking a peak at the gums and the mucous membranes of the inner lower eyelid instead. It’s important for dog owners to get accustomed to the normal color of their dog’s gums so to recognize early signs of trouble. A baseline assessment taken when your dog is in good health is therefore helpful so in the case of need, you’ll be able to promptly recognize changes and take action as needed. This may turn helpful should you one day find yourself calling the emergency vet wondering if you need to take your dog in and they ask you to check the color of your dog’s gums. Getting your dog used to having his gums checked from an early age with lots of praise and positive reinforcement is therefore a big plus. Make it fun and rewarding! Tip: make it a habit to also check how your dog’s gums feel. A healthy dog that is properly hydrated should have gums that are glistening and slick with saliva. Dry, tacky and sticky gums may be a sign of dehydration. 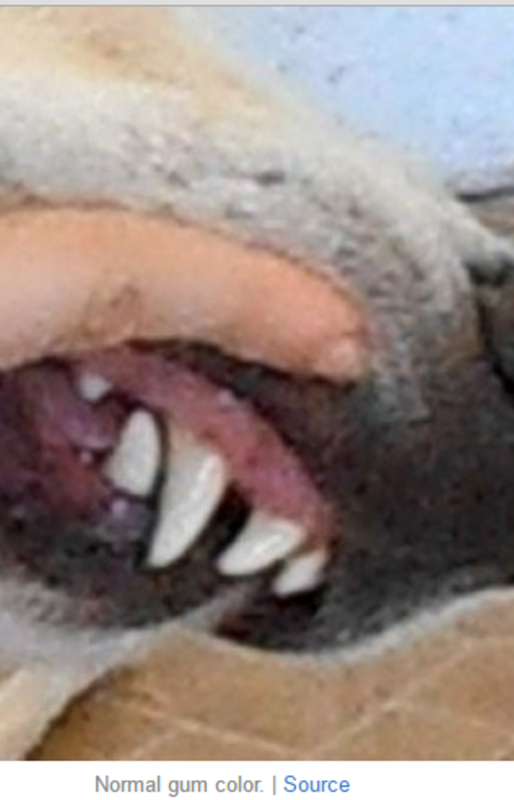 Because your dog’s gums are closely related to his circulatory system, you can gain a lot of information by just looking at them. Healthy gums are highly vascularized which means that they are supplied with blood through many tiny capillaries. This is what gives your dog’s gums that nice bubble gum color when he’s happy and healthy. Nice pink gums tell us that there is enough oxygen circulating in the bloodstream. Another way to assess proper blood flow to the dog’s gums, is by calculating capillary refill time which checks the level of blood perfusion. To do this, gently press your finger on your dog’s gum until it blanches (becomes white). Next, release your finger and evaluate how long it takes for the gum to go back to its pink color. Preferably, it should take 1.5 seconds for the blood to return back into the capillaries and for the gum to return to its original color, but less than 2 seconds is fine too, explains veterinarian Ron Hines. Did you know? In dogs with dark or black gums, this test may be difficult to perform. You may to hunt for a pink spot or bypass this test and just check the color of the dog’s eye tissue instead. Prolonged capillary refill time is indicative of tissues not receiving sufficient oxygen. According to Pet Education, a capillary refill time is therefore sign that the blood is not flowing as it should. This can happen with several health conditions. For instance, in the case of shock due to internal bleeding, the decreased blood volume causes the dog to become lethargic, have low blood pressure, rapid breathing and prolonged capillary refill times. In a dehydrated dog, the volume of water in the dog’s bloodstream lowers making blood thick, concentrated and difficult to circulate, hence the lower capillary refill times. Dogs with heart problems are also prone to slower refill times too as their heart fails to pump effectively causing blood to not be able to flow to certain areas as it should. Can You Help Treat This Dog’s Fire Ant Bites?